Germany: Weil-am-Rhein (26 km) and Loerrach (36 km). 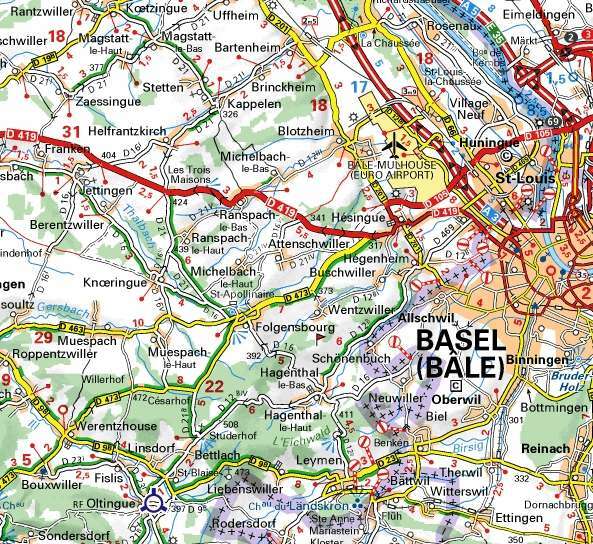 30 minutes away from the railway station of Basle (Switzerland). Coming on the Highway A35 from Mulhouse take the exit Saint-Louis/Hésingue, turn left direction of Hésingue drive through, continue in the direction of Folgensbourg, drive through Folgensbourg, Bettlach & Saint-Blaise. Enter in Oltingue, when arriving into the Rue Principale turn left into the first street before the Musée Paysan (White sign "Chapelle Saint-Brice"), on the left side of the street enter in the courtyard on the level of the red gate. 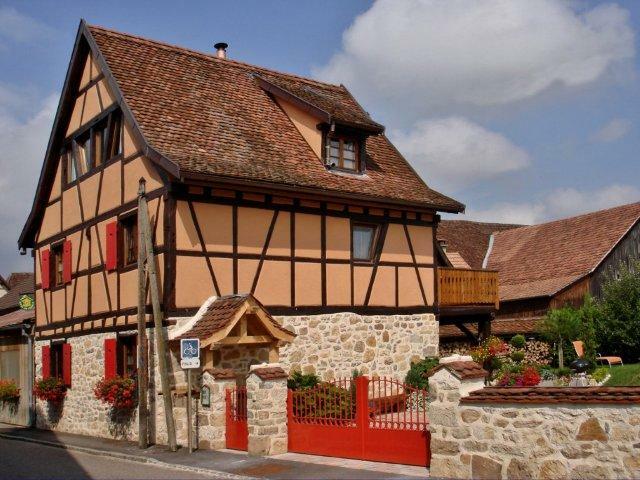 The house of the owner is located on the corner of the "Rue Principale" and the "Rue de Leymen". Since June 2007, the TGV Est railroad ligne has been opened : Paris - Mulhouse in 3 hours, Paris - Basle in 3 hours 20 minutes. Following airlines fly to/out of the airport Mulhouse-Basle-Freiburg www.euroairport.com : Easy jet www.easy.jet.com, Swiss www.swiss.com, Lufthansa www.lufthansa.com and of course Air France www.airfrance.fr.